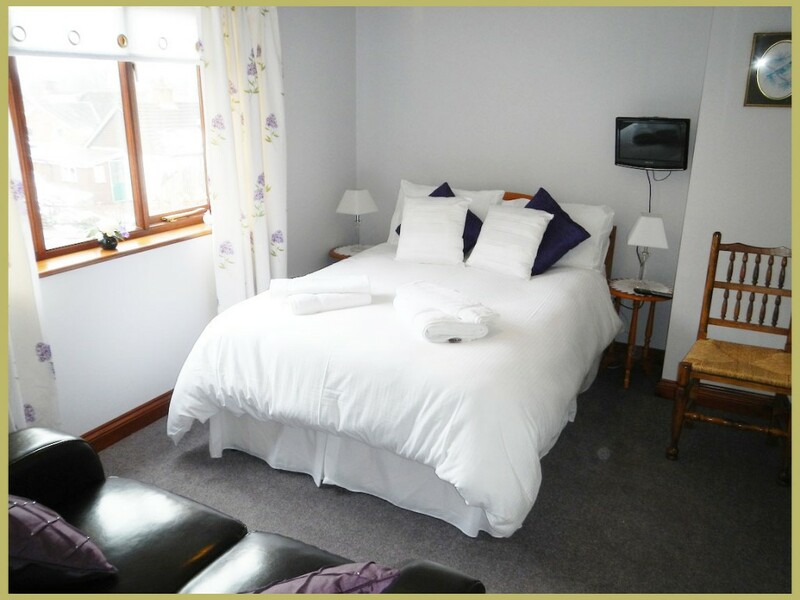 All our rooms have tea/coffee making facilities, bottled water, fruit juice, hair dryer, iron with ironing board, robes, slippers, hot water bottle, a selection of books, a modern flat screen television with all the available freeview tv and radio channels and fluffy Egyptian cotton towels. 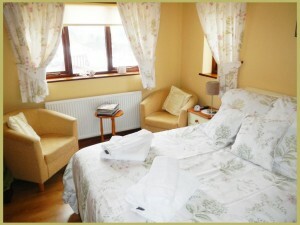 All our rooms are decorated to a high standard and kept well maintained to ensure to comfort of our guests. 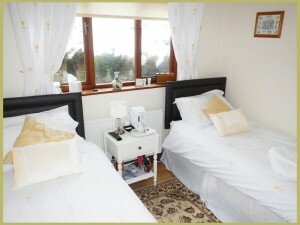 A Bright and Spacious cream coloured room with ensuite and shower. It has a large wardrobe, plenty of drawer space and two comfy Tub Chairs. This room overlooks our patio and out onto the surrounding Welsh countryside. 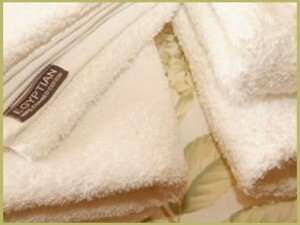 Deduction of £5 per night for bookings of 3 nights or more. 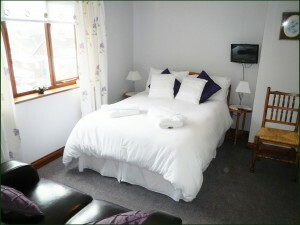 Accommodation is also available as room only, without breakfast, for a £5 discount per person. Rooms to be vacated by 10am. A crisp, fresh and quiet room at the back of the house, decorated to a high standard in a Magnolia theme with its own private bathroom next door. A bright and spacious room decorated in a Lilac theme with ample wardrobe and drawer space, a quality leather sofa and views over the distant Welsh hills. The wearing of outdoor shoes within the property is discouraged in an effort to maintain our high standards, therefore comfy slippers can be provided for your use.